This is the first prototype of the Cerva CE-43 Guépard ( The Cerva company was an association between Wassmer and Siren companies ), an all-metal aircraft derived from the beautiful Wassmer WA IV/21 wooden touring aircraft. 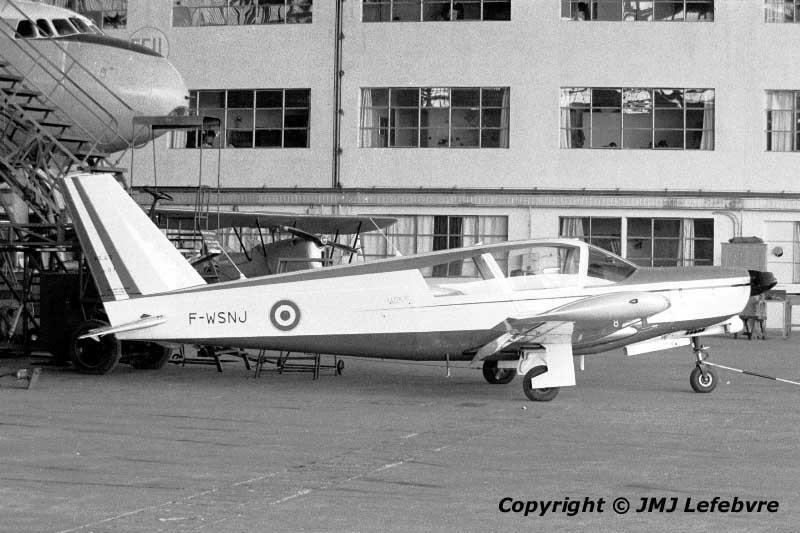 This day of 1972, it was the birthday of original prototype F-WSNJ which had been first flown at Issoire on May 18, 1971. Production began during 1973 and 43 aircraft were produced until 1976. Roughly all went to the French Administration: about 20 for the CEV Flight Test Center based at Melun-Villaroche and Bordeaux airfields and the other part for the SFA, the State establishment providing complete formation to future professional pilots, instructors etc.